ZAMBOANGA CITY, Philippines (Mindanao Examiner / Apr. 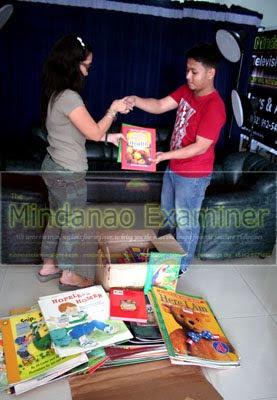 22, 2011) – The independent Mindanao Examiner newspaper has donated children’s books and a complete booklets and video discs on human rights to a civilian group active in community works in Mindanao. The books were donated to Amir Mawalil, of the Sulu-based Bangsamoro Tausug, which is active in helping poor community, among others. The books, donated to the Mindanao Examiner by The Asia Foundation, will benefit the group’s beneficiaries. 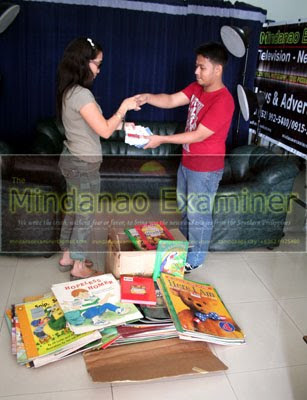 The Mindanao Examiner regularly receives reference reading materials from The Asia’s Foundation and donates these books to day-care centers, village libraries and poor communities in the southern Philippines. While the human rights booklets and video discs were donated to the Mindanao Examiner by the European Union - Philippines Justice Support Programme.